The popularity of shows such as Storage Wars and American Pickers has led many individuals to wonder if they can find hidden treasures in unlikely places. The Garage Sale Millionaire, written by Aaron LaPedis with Jeffrey D. Kern, teaches almost anyone how to turn garage sale trash into valuable treasure. This book focuses on the skills needed to get ahead in the storage war and garage sale game. It is an indispensable guide to the storage auctions Americans have grown to love. The Garage Sale Millionaire is different from other storage unit and garage sale treasure hunting books on the market. The book was written by authors with more than 60 years combined experience in finding, pricing, selling and collecting valuable goods. The book provides need-to-know info and insider tips that have never been made available to the general public before. Individuals who read The Garage Sale Millionaire learn to track down lost treasures and hidden gems. They learn how to recognize coveted collectibles. They also learn the basics of identifying a real collectible from a reproduction. The book also covers the basics of valuation. Even the most inexperienced of buyers can use this innovative book to gain the knowledge they need to buy, value and sell their way to success. In today’s tough economy, many individuals are looking to make a quick dollar. Bargain hunters who love to hit yard sales or storage unit sales may wonder if they can make a real fortune as modern-day treasure hunters. Not everyone will have the same success as a gentleman known only as John, who found $500,000 worth of gold and silver in a storage unit bought at auction. However, storage auctions can still yield serious returns. Whether you are a casual bargain hunter or a serious collector, you stand to gain something from reading The Garage Sale Millionaire. This thorough and clearly written book helps to take the guesswork out of finding, valuing and selling collectibles. Individuals dedicated to making that extra dollar also stand to gain from sections of the book that detail how to use popular online sales and auction sites such as eBay and Craigslist. The book outlines good pricing and bargaining practices. With a little know-how and a lot of effort, anyone can become a true auction king. Mercedes Potter is a part of an elite team of writers who have contributed to hundreds of blogs and news sites. 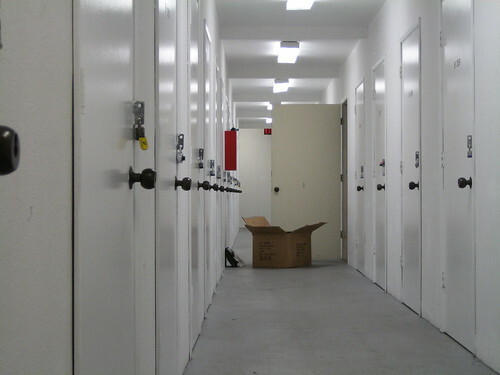 Read more information about Self Storage Santa Monica here. Follow her @CedesPotter.